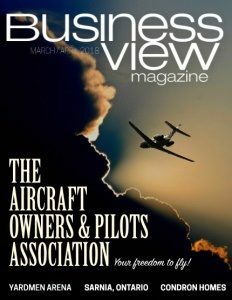 Business View Magazine interviews representatives of Century 21 Discovery, as part of our focus on best practices of American real estate companies. The pair grew the company from 40 agents, then, to over 125, today, and positioned it to be the number one Century 21 office in Orange County. In addition to its primary operating footprint in north Orange County, Century 21 Discovery also covers parts of L.A., San Bernardino, and Riverside Counties, as well. This February, Shipley retired from his position as Founding Broker of the company, and Joe purchased the firm from him, outright. Joe’s wife, Suzy, is now the current Co-Owner, and their daughter, Stephanie Goedl, who is, and has been, the Chief Operating Officer, is now also a Broker and Partner. Stephanie grew up in the industry and, after graduating from Chapman University with a degree in Business Management, obtained her real estate license and began her real estate career with her father. “She started on the ground floor, selling,” Joe says. “So, I’ve got a Millennial who is my Chief Operating Officer and helps me run the company with great foresight.” As for wife Suzy, Lins says that after their youngest child left for school, she returned to college, herself, to get her degree in communications. “And she’s on the bleeding edge of how we promote our agents, how we promote our listings, how we promote our properties, and how we promote what we do,” he adds. Joe credits several factors that have contributed to the company’s success. One is its location on Valencia Mesa Drive. “35,000 cars drive by our office every day,” he states. Another important aspect of the firm is its devotion to the local community. “A lot of our agents are involved, and sit on boards of non-profit organizations,” he affirms. “Stephanie is on the board of the Boys and Girls Club here in Fullerton; Suzy is part of the Women’s Transitional Living Center, which is a group that houses abused women looking for a fresh start; I’m in Rotary and the Elks and I’m on the Board of Trustees for St. Jude Hospital here in Fullerton.” These community engagements help raise the company’s profile and provide a wider network of potential buyers and sellers. “If they don’t know an agent, I’m hoping they’re going to know one of us and that’s a good thing; it will help our agents grow their business,” Joe adds. Another facet of the company’s success is its focus on the training and coaching of its agents. “We go above and beyond in everything we do in regards to the agents and the training they receive,” says Suzy. “We’ve got their backs and, in turn, they’ve got the client’s back. It’s all about the service we provide our agents, so they can provide the top level customer service that their clients deserve.” “We have the most knowledgeable and professional real estate agents,” Joe echoes. “They provide clear, concise, unbiased information to their clients so that they can make good decisions.” “We’ve been lucky to work with some incredible agents, some of whom have been with us their whole careers,” says Stephanie. 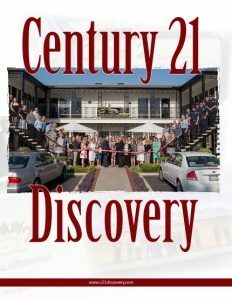 Check out this handpicked feature on The Century 21 Judge Fite Company – Eighty Years Strong.